Come see all that this 3 bed, 2 bath, home has to offer. 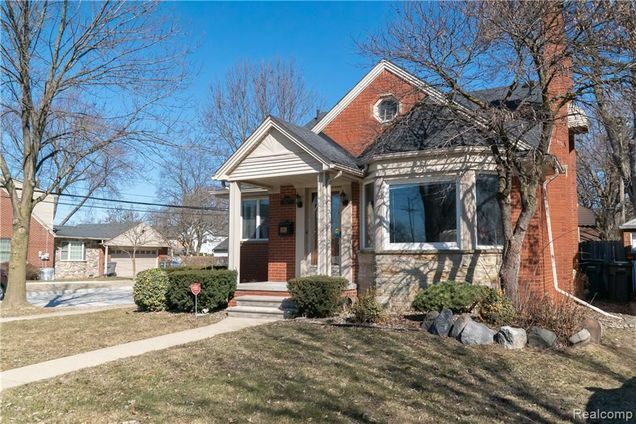 This classic Dearborn bungalow features hardwood & granite floors throughout the first floor. The large master bedroom has a master bath with ceramic floors and shower. The kitchen has granite counters with under cabinet lights. There is a family room off of the garage that is currently being used as a guest bedroom. Easy access to Ford Rd, Telegraph, or Michigan Ave make getting to all that Dearborn and the surrounding area has to offer a breeze. Hello, I’m interested in 22940 Murray Street and would like to take a look around. The details on 22940 Murray Street: This house located in Highland, Dearborn, MI 48128 is currently for sale for $229,999. 22940 Murray Street is a 1,862 square foot house with 3 beds and 2 baths that has been on Estately for 8 days. 22940 Murray Street is in the Highland neighborhood of Dearborn and has a WalkScore® of 35, making it car-dependent. This house is in the attendance area of Dearborn High School, Lindbergh Elementary School, and Bryant Middle School.